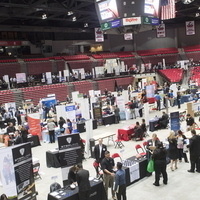 The Education, Health and Wellness Fair is for employers seeking to fill education and health and wellness-related positions (part-time, internship, and full-time). This fair will be open to undergraduates, graduating seniors, graduate students, alumni, and non-NIU candidates. The fair is free for candidates to attend. The Education, Health and Wellness Fair is an important source for over 150 employers to find and hire new talent. There are things which only increase by sharing and education is one of them. The more you convey the more you will be learning and the greater it will be spreading thus eliminating the illiteracy rate of the nations. The https://certsprepare.com is to share what you have learned and see the difference.